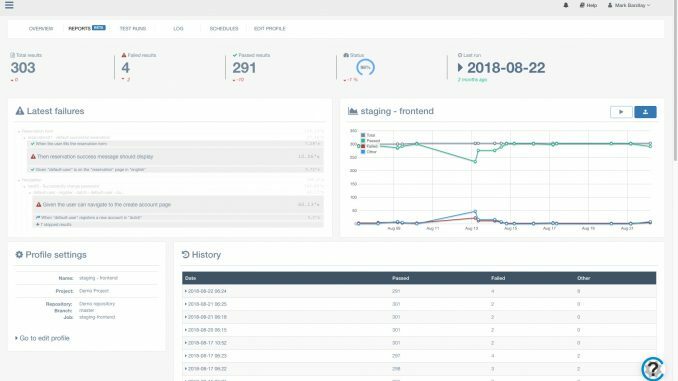 spriteCloud B.V., a provider of software testing services, has announced the worldwide availability of the unified test results dashboard Calliope.pro. Gathering test results from tools like Cucumber, jUnit and other major software test automation tools and displaying them in a central place, Calliope.pro provides entire teams with a clear overview of all their test results in one easily accessible, shareable dashboard. Addressing the test analysis needs of teams of all sizes, Calliope.pro is available in four versions: a FREE starter plan, a plan for an entire team, one for multiple teams, and a fully supported enterprise plan. Visit www.calliope.pro for information on pricing and how to buy. A common problem with software development projects is that different test tools are used at different times. There are roughly three levels of automated tests: user interface level, API level and unit test level, all using different tools. Each of these tools provides different reporting methods but until now, a clear, unified way of displaying all these test results from multiple sources has been missing. Poor visibility of test results means important information is easily misinterpreted or overlooked, causing mistakes, confusion, delays and increased costs. Enter the unified software test results dashboard Calliope.pro. 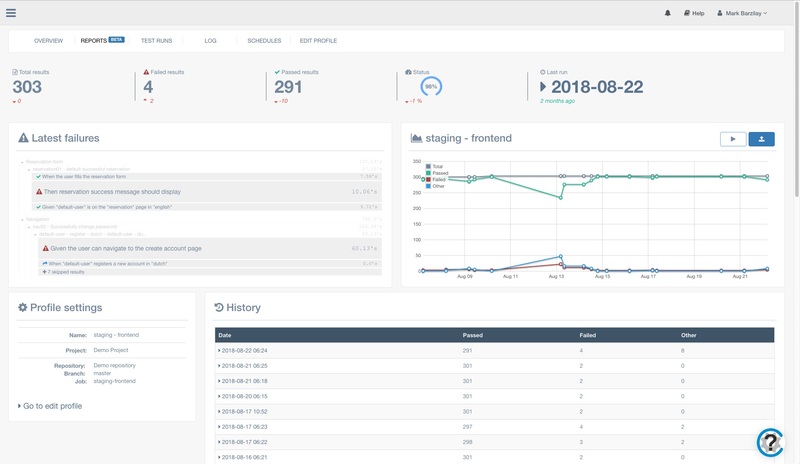 Tried and tested by spriteCloud and its customers for many years, Calliope.pro is now available via online subscription, allowing the worldwide test community to overcome the problem of poor test result visibility. Calliope.pro gives a clear overview of the scattered test results provided by JSON and XML as well as Cucumber, jUnit and other major test frameworks in a single, unified dashboard. It extracts the relevant information from thousands of rows of results and tailors it to technical and business decision-making needs. The results are shareable both online and across teams – a unique feature, as generally, automated test results are only inspected by the creator. The starter plan of Calliope.pro is available FREE of charge. This gives testers and developers a chance to immediately try out the dashboard without delay. Upgrades to the team plan (Euro 19.90 per month excl. VAT) or the plan for multiple and larger teams (Euro 49.90 per month excl. VAT) are possible at any time. If your business needs demand full spriteCloud service support, opt for the enterprise plan. Besides the hosted solution, Calliope.pro can also be installed locally or hosted on private servers. For more information or to subscribe to any of the Calliope.pro plans, visit www.calliope.pro. spriteCloud B.V. is an independent software testing company headquartered in Amsterdam. Founded in 2009, the company specialises in e-commerce website testing and provides a wide range of services, including functional testing, test automation, performance testing, test consultancy and test management. For more information visit www.spritecloud.com. You can also follow and engage with spriteCloud via Facebook, GitHub, LinkedIn, Twitter and YouTube. Built and 100% operated by spriteCloud B.V., Calliope.pro is a unified software test results dashboard that consolidates JSON and XML test results from tools including Cucumber and jUnit, makes test results understandable for any person within the organisation and allows results to be shared across entire teams. Calliope.pro is available worldwide in various subscription plans. Visit www.calliope.pro for more information or to subscribe.